As few spoilers as possible. Ending not disclosed. The games diverge when the main character is given a choice to either stay in Nohr with a family they've known all their life or leave for Hosido with a family (the one they're related to by blood) that they've only just met. Birthright is the story of how the player chooses the family the avatar is related to and Conquest is the story of staying in Nohr. Since I haven’t played Conquest yet, I can’t say for sure, but I’ve heard that Birthright has a story that is much more virtuous in a sense (think the Light Side), while Conquest's story is quite morally gray (think more Dark Side). Of course, keep in mind that nothing is purely good or purely evil. Either way, both games play as turn-based RPGs and double as a kind of dating simulation (you have to pair characters with other characters to give them more powerful attacks). Because of this, the game has an interesting set of people populating the world. So, in honor of this amazing cast of characters, I’d like to take the time now to list my top three favorites in Fire Emblem: Birthright. 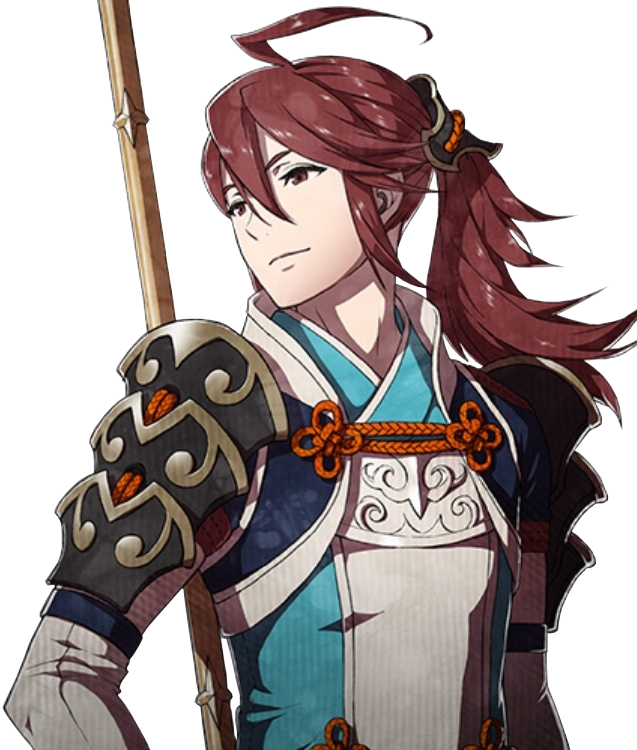 Subaki is the guardian of the player's younger sister, Princess Sakura. Gliding around on a Pegasi (think Pegasus), he is the epitome of beauty and grace. He's also a complete and utter perfectionist. There is a scene where the avatar hears Subaki’s stomach growl. Subaki refuses to show weakness, so he covers it up, and later on, the avatar sees him stuffing his face full of food, so much so that it may endanger Subaki's health. Because he must be the best in everything, this can sometimes come off as obnoxious or rude. But he doesn’t mean to be! In fact, he’s caring and tender in his own way. Plus, it’s always amusing to hear what he has to say in battle. For example, if you let Subaki die in battle, he says, "Well, this is just...What's the opposite of perfect?" Ah, so true to character, even when injured in battle. Azura was a princess of Nohr, who was captured and taken hostage by Hoshido. Although, you learn that she doesn’t mind this situation one bit, explaining that Hoshido is much more pleasant to live in. Over the course of the game, the Avatar develops a very deep connection with Azura. Even at the beginning, when the main character transforms into a dragon for the first time, it is Azura who calms the avatar with a song (a catchy song to boot). It’s then you learn that Azura is a songstress who carries magic in her voice. Her song can heal and help the various characters along the way. However, you learn that it is a double edged sword. In battle, Azura is EXTREMELY useful. She is a songstress, and as such is able to sing a tune that gives a character another turn. Azura is quite powerful in this regard; however, she doesn’t have the most health in the game, so enemies are always targeting her. Good thing she can dodge fairly well. So, my avatar ended up falling for, marrying, and having children with Kaze. He’s a ninja that you meet at the beginning of the game and end up saving from your adopted father’s merciless actions. He’s polite, and the ladies like him...a lot. At first, Kaze seems like the perfect ninja: ever vigilant, stoic, and mysterious. But as the story progresses (and the player chooses the right options), Kaze opens up and lets his heart melt for the avatar. Kaze’s family has been serving the Hoshido royal family for ages, and if the player chooses, he eventually pledges his services to the avatar as a retainer. Because of his sweet disposition and caring attitude (underneath that hard ninja shell), it’s almost too easy for the avatar to accidentally fall in love with him. During battles, I always pair Kaze with my character. (They make an unstoppable team.) 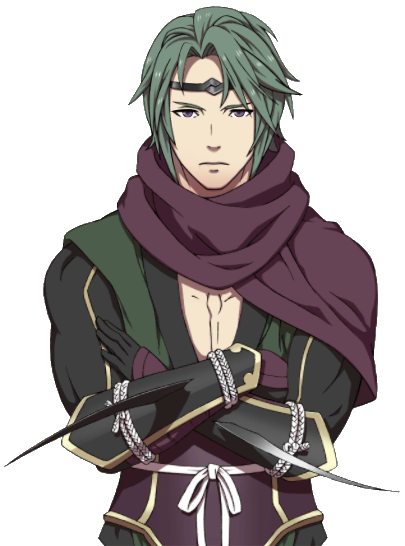 As a ninja, Kaze is nimble and dodges attacks quite easily. He usually deals two hits in one battle and is able to throw his shuriken from far enough away that the enemy can’t attack back. Quite useful, huh? 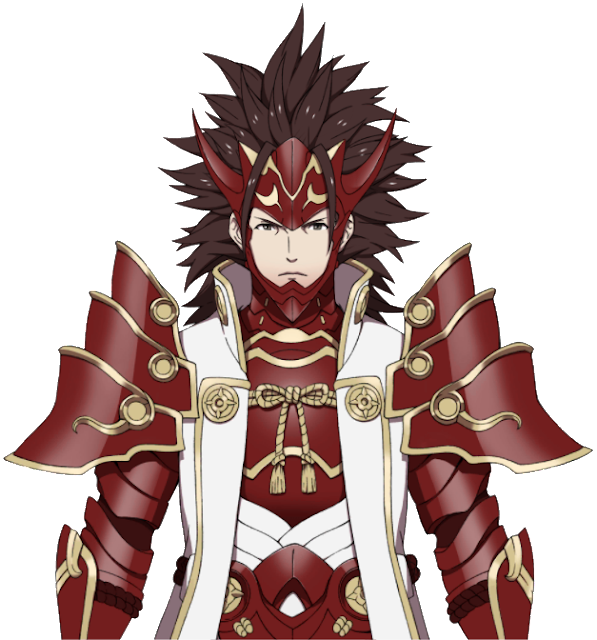 Ryoma is the avatar's big brother and heir to the Hoshido throne. He is all calm and collected grace, a figure of pure royalty. You don’t end up welcoming Ryoma into your party until much later on in the game. But after a few battles with him, I realized why. He’s a beast in combat! He’s my trump card, that’s for sure! Brute force and unbelievable luck make him, by far, the most powerful character in the game (sometimes even better than the avatar). There was this one battle where he was the only one left standing against maybe 10 other people. He still won! So, if I want to win a battle, I need only add Ryoma to my party. Which Fire Emblem Fates game is your favorite? Do you have any favorite characters from either?